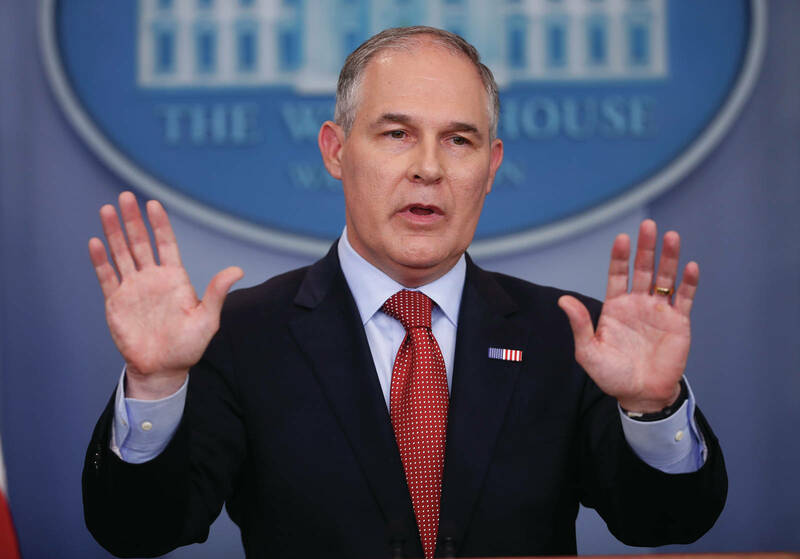 Is Environmental Protection Agency Administrator Scott Pruitt just putting the shoe on the other foot? The EPA announced July 11 that it was starting the process to withdraw the proposed determination reached under President Barack Obama’s administration to prohibit large-scale mining in Bristol Bay — a roundabout way of saying the Pebble mine project. A 90-day public comment period on the proposed withdrawal is now open through Oct. 17. Pebble Limited Partnership and its parent company Northern Dynasty Minerals hailed the decision as a major step toward returning to a normal and fair permitting process. Pebble has long held that the EPA’s push in 2014 to block mine development through its Clean Water Act Section 404(c) authority was a biased decision. That’s because the junior mining company contends the 1,000-plus page Bristol Bay Watershed Assessment, on which the 404(c) proposal was largely based, is an erroneous document developed over several years to be used as a means to reach a predetermined decision that the mine must be stopped. The Bristol Bay Watershed Assessment ultimately determined that large-scale mining in the region would irreparably harm Bristol Bay’s world-class salmon fisheries that currently support much of the areas economy. Pebble subsequently sued the EPA in 2014, alleging the agency had colluded with anti-mine activists and environmental-leaning scientists in drafting the assessment. Federal District Court of Alaska Judge H. Russel Holland saw enough validity to Pebble’s argument to issue an injunction in November 2014 halting the 404(c) proceedings until the lawsuit was resolved. A January 2016 EPA Inspector General report supported the validity of the assessment, but scolded the agency for months’ worth of missing emails and other procedural missteps related to evaluating the prospective Pebble project. Settlement talks in December 2016 that preceded President Donald Trump’s administration concluded this spring when the sides reached agreement, giving Pebble 30 months to submit its environmental permit applications for the mine at which point the 404(c) process could be resumed. However, the settlement also allows the Bristol Bay Watershed Assessment to stand. Pebble also contends the assessment’s conclusions are highly speculative, given the company has yet to submit a formal mine plan. Yet, despite the assessment being the only valid, on-the-record, scientific document upon which decisions regarding Pebble can be made at this point, Collier is confident the proposed determination to block Pebble will be withdrawn at the end of the comment period. Pebble spokesman Mike Heatwole said in an interview that a fair review of the project in a normal permitting process is all the company has ever wanted. In moving the 404(c) process prior to Pebble even applying for permits, the EPA broke from precedent, but Holland also dismissed another suit in which Pebble claimed the agency had overstepped its authority. Alannah Hurley, head of United Tribes of Bristol Bay, the Dillingham-based coalition that has led the fight against Pebble, said if EPA Administrator Pruitt appropriately considers all of the public comments that have been submitted supporting protections for Bristol Bay the withdrawal will be short-lived. Hurley further argued “99.9 percent of the comments” submitted in 2014 supported the proposed determination. While a large majority of people who testified during August 2014 public meetings supported the EPA’s move, the agency’s Alaska spokeswoman Suzanne Skadowski said Holland’s injunction prevented the results of the 671,517 written comments submitted on the Federal Register from being tabulated. Heatwole contends many of the comments in support of the agency at the time were “postcards” or form letters from individuals without adequate knowledge of, or an appropriate stake in, the issue. Skadowski called reversing course and moving ahead with the withdrawal despite the assessment being the only available science on Pebble “a policy call” made by Pruitt to see what Pebble’s plans are before making a decision. “We’ll use that existing science and whatever becomes available at that time,” Skadowski said. The notice further reiterates that under the settlement the EPA retains the right to eventually use its 404(c) authority on Pebble if it is deemed necessary. Pebble leaders continue to say they intend to file permit applications this year for a smaller, less impactful mine than had previously been conceptualized. A recent investor presentation on Northern Dynasty’s website states the Pebble copper and gold deposit contains 1.9 percent of all the gold ever mined in recorded history. The company has been roundly criticized, even by some Republican lawmakers who have also criticized the EPA’s actions, for repeatedly stating over more than a decade that a mine plan and permit applications were coming soon, without making good on the promise.